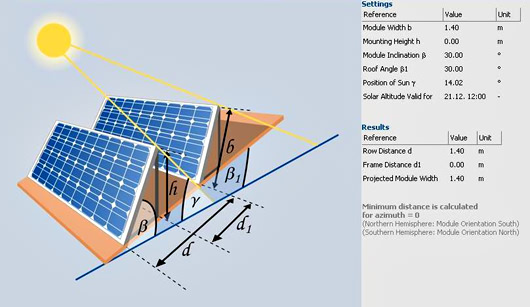 PV*SOL is the 2D solar software design tool for simulating photovoltaic system performance. It is a fully-featured program for those who don't wish to use 3D to model shading and visualise the landscape. Module layout can be made from a consistent viewpoint perpendicular to the mounting surface. Custom 2D shapes can be created. This can be modelled in various orientations including Single North-South axis; Single East-West axis; Single vertical axis of rotation; and Dual axis. PV*SOL enables definition of outputs, costs, performance indicators and CO2 fuel savings for a wide range of variables and optimise solar PV performance. Client reports and on-screen presentations are fully customisable in MS Word. 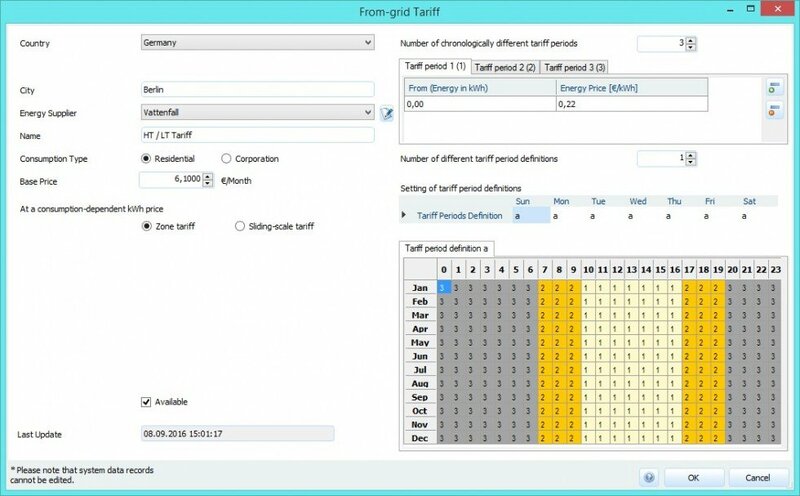 The summary report produces precise tabular and graphical representations of yields, performance ratio, solar fraction and module temperature. Reports can also be saved as PDFs. A spreadsheet result output is also possible. Report language options include: English, Cesky, Dansk, Deutsch, Espanol, Francais, Hrvatska, Italiano, Magyar, Nederlands, Norsk, Polski, Portugues, Slovensky, Shqipe, Svenska, Turk, Arabic, Chinese. You can see the outputs of PV*SOL premium in project report form, either for a domestic or commercial system. PV*SOL includes the PhotoPlan option. With just a photo of the roof and a few reference dimensions, you can create a realistic representation of the property as it would look with installed panels. These can be included in customer reports and offer a useful tool for the design process in deciding where arrays should best be placed. 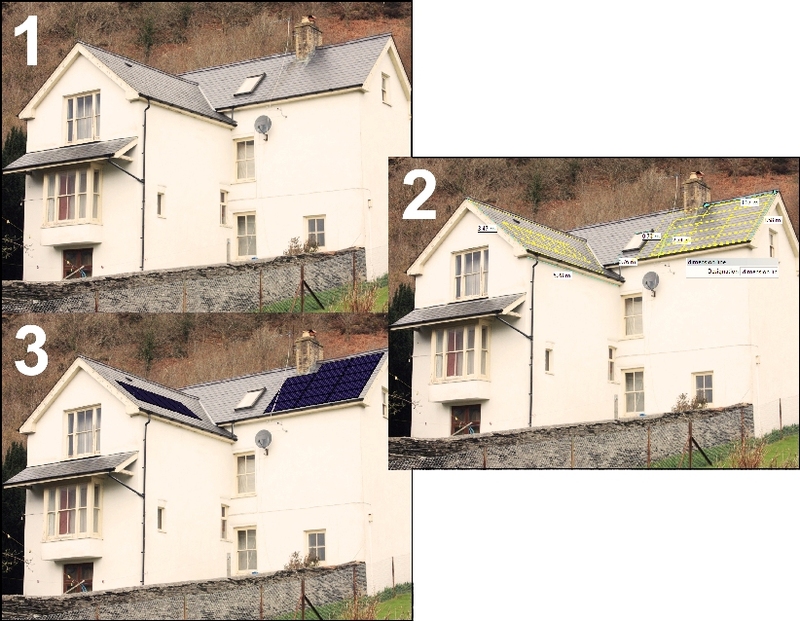 Mixtures of PV and solar thermal images can be imported, combined with Velux roof windows and multiple roof tile forms and colours. PV*SOL comes with Meteosyn climate data software. This comes pre-loaded with thousands of global climate data locations and allows you to add custom climate data into your database as required. 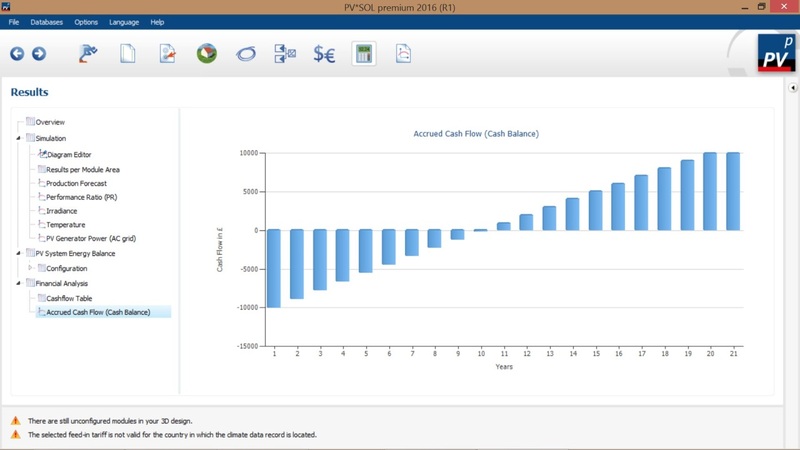 Tabular and graphical financial analysis of system performance is possible. 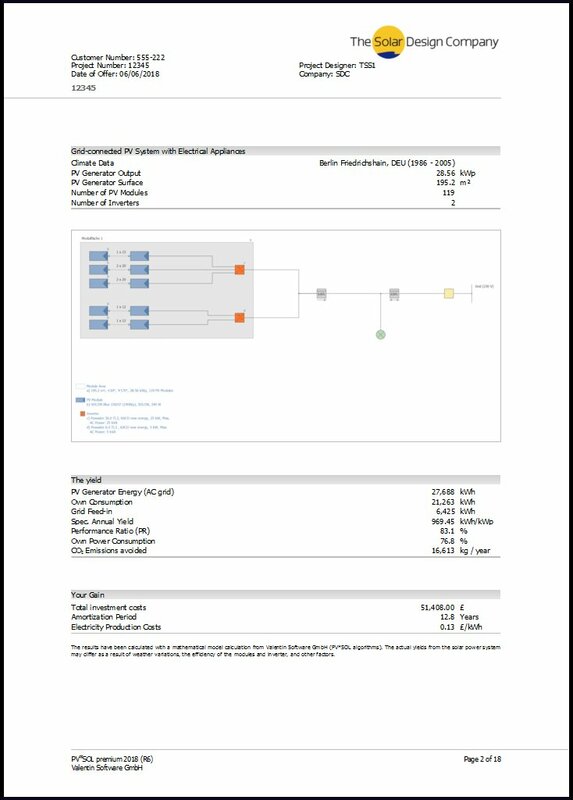 Annual cashflow results can exported to a spreadsheet and the program includes Return on Investment, Amortization (payback) and energy subsidies (both fixed and per kWh) with inflation factors. Time of Day (Time of Use) to each hour can be described. 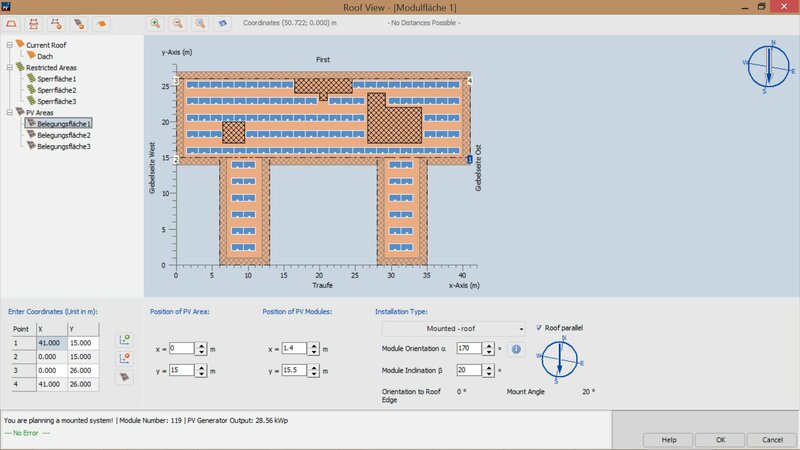 Module coverage can be calculated automatically and a roof layout diagram can be included in the project report. It is also possible to design mounted (framed) modules to face any direction. An 'optimum row distances' dialogue assists with the spacing of mounted arrays. The principle annual energy flow totals can be visualised on a single diagram. This can help explain complex situations. 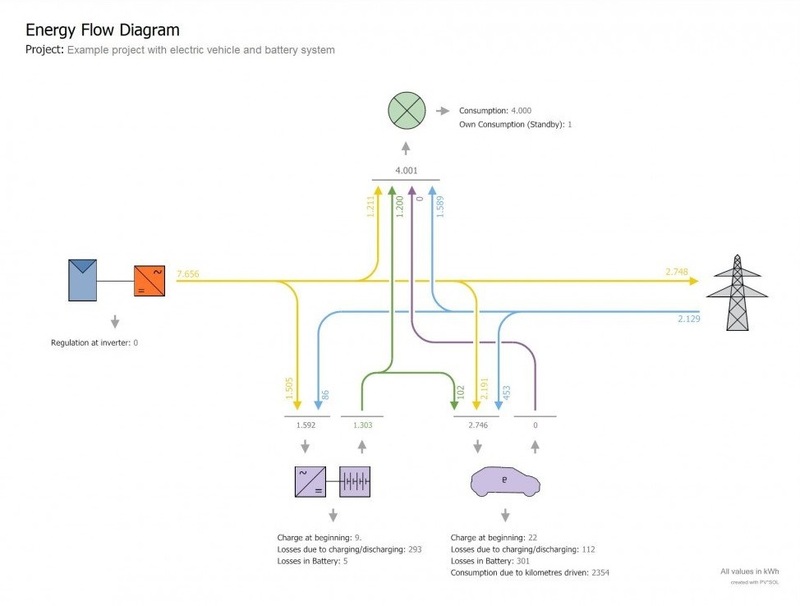 The electric car option means it is easier to define a movable battery. It is also possible to combine this option with a static battery.